The chigoe flea or jigger (Tunga penetrans) is a parasitic blubber arthropod found in most tropical and sub-tropical climates, not to be confused with the larval form of Trombiculidae (called chiggers) found in more temperate climates. 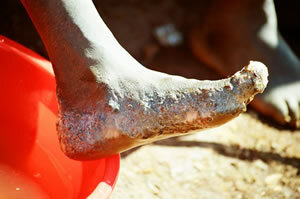 In Brazil, the parasite is referred to as bicho-de-pé (foot bug). 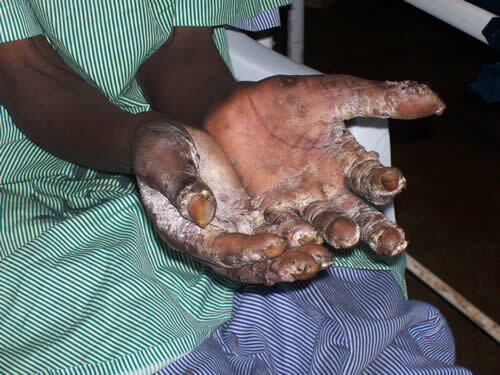 Breeding female chigoes burrow into exposed skin on the feet of mammals and remain there for two weeks while developing eggs, sometimes causing intense irritation (condition called tungiasis). 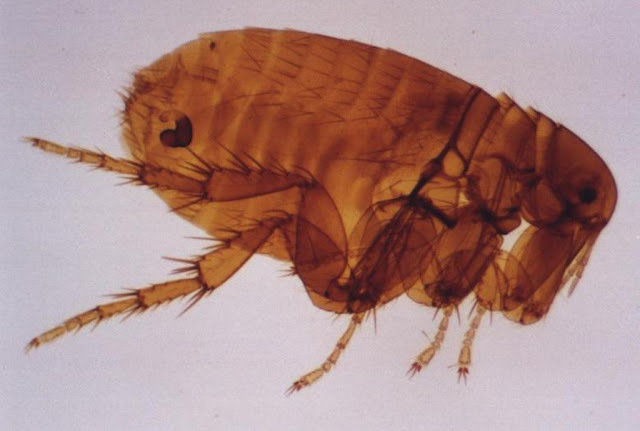 After this point, the skin lesion looks like a 5- to 10-mm blister with a central black dot, which are the flea's exposed hind legs, respiratory spiracles and reproductive organs. The parasitic flea lives in soil and sand, and feeds intermittently on warm-blooded hosts, such as humans, cattle, sheep, dogs, mice, and other animals. 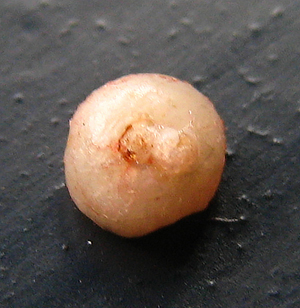 To reproduce, the female flea burrows head-first into the host's skin, often leaving the caudal tip of its abdomen visible through an orifice in a skin lesion. This orifice allows the chigoe flea to breathe and defecate while feeding on blood vessels in the cutaneous and subcutaneous dermal layer. In the next two weeks, its abdomen swells with up to several dozen eggs, which it releases through the caudal orifice to fall to the ground when ready to hatch. The flea then dies and is sloughed off with the host's skin. Within the next three to four days, the eggs hatch, and mature into adult fleas within three to four weeks.